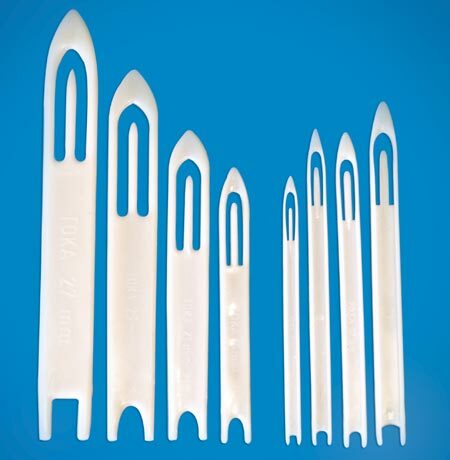 Quality mending needles, made from high impact plastic in the colours yellow and white. The mending needles are available in widths from 8 mm to 27 mm. • 8-10-12 og 14 mm avec rebord.